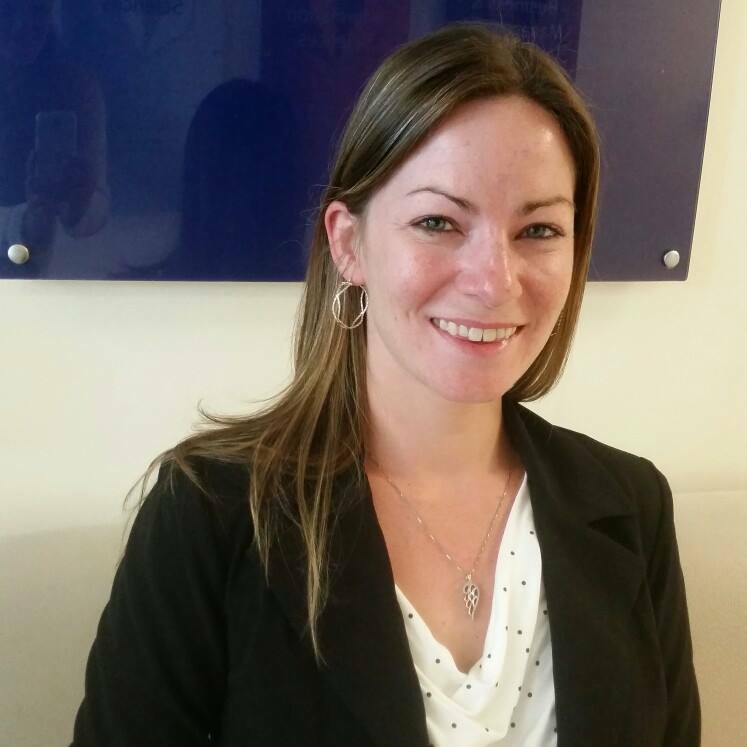 IDignity was created to assist the disadvantaged in Central Florida to navigate the complexities and financial burden of obtaining the legal documentation that the State of Florida requires to obtain an ID or license. The documents IDignity obtains on behalf of our clients enable them to apply for employment or school, obtain access to shelters, vote, seek help from social service programs, open a bank account or cash a check, secure housing, or overcome many other obstacles to becoming self-sufficient. The demand for these services has yet to ebb. While the State of Florida does not charge the homeless or those living below the poverty level for the cost of an ID, individuals must still cover the cost of obtaining the proofs required by the State to obtain an ID. The fee for a driver’s license is not waived. The cost of proofs varies depending on the complexity of each case. Birth certificate costs vary by state/US territory and range between $7 and $50. Official copies of marriage certificates/licenses must be obtained to document any name change. Obtaining identification documents gives our clients the ability to move forward to the next step of their lives, whether it is obtaining employment, applying for school or finding homes for their families. We will have iDignity present their case study in an upcoming meetup. Some of the technical challenges they face are expansion, data security and data integration. Visit iDignity the 3rd thursday of the month for a tour. Tours take about an hour and are at the event site; 440 West Colonial Drive. We partner with the Salvation Army once a month to hold these client service events. Contact Anne Taylor to schedule your tour. Also, if there are other non-profits that need more help, please contact me and we can post here. In less than a month, six Central Florida nonprofits will launch the first ever collaborative campaign on Giving Tuesday to support Orlando’s growing needs. Orlando Gives was born from a brilliant conversation at Tech4Good’s session on preparing for Giving Tuesday. Fast forward to today, each organization has brought their best to initiate an effort unlike anything Orlando has seen with the support of Orlando’s Mayor Buddy Dyer and Orange County’s Mayor Teresa Jacobs as well as local companies and individuals. 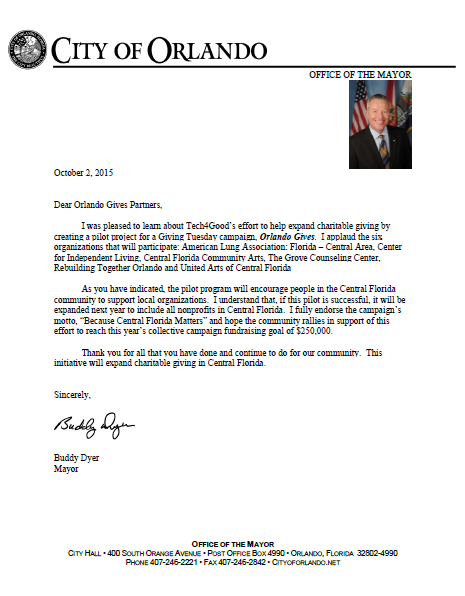 Visit http://www.orlandogives.org for more information and save the date, December 1st – Because Central Florida Matters! This entry was posted in Uncategorized and tagged christmas, Dyer, fundraising, giving, Giving Tuesday, holiday, Mayor Dyer, nonprofits, orlando, Orlando Gives, orlando nonprofits, thanksgiving. When the opportunity came to be a part of a nonprofit tech community right here in Orlando, I couldn’t refuse. My entire career has been for-profit. After having a small taste of a nonprofit I craved another opportunity I could lend my skills and talents to. I heard about Tech4Good for the first time when I stumbled upon this opportunity. I immediately fell in love with the mission and vision of Tech4Good! As the event chair I hope to engage our community with stimulating events as well as provide a resource hub for nonprofits. In the future our members can expect more workshops, webinars, and panel discussion events! This June we are teaming up with Orlando Tech Association for their National Day of Civic Hacking. I am very excited to join OTA for this great event! I have no doubt that Tech4Good will become a huge success here in Orlando. I am absolutely blown away by the welcoming we have received from the community! I am extremely excited to see our membership continue to grow so we can all create a wealth of information and success stories for nonprofits alike. This entry was posted in Uncategorized and tagged community, florida, nonprofit, nonprofit technology, nonprofits, nptech, orlando, orlando tech association, social good, tech, tech4good, tech4good orlando, technology. For decades, Orlando has been a central force in technology advancements – NASA, Lockheed Martin, Siemens, Pixar, Disney and so forth. Today, the movement towards becoming a technology hub is critical to creating new jobs, improving our local economy, and innovating ways to intersect the technology and social good. Here enters, Tech4Good Orlando! TechSoup Global and Nonprofit Technology Network are stewards in bringing tech usage to the forefront in the nonprofit and social sector. Our role is pivotal in stewarding a conversation that will bring a new way of thinking and doing in our everyday work. Through technology, nonprofits can enhance relationships with supporters, increase fundraising revenue, and spread their mission further – and most importantly, quickly adapt to today’s changing business environment. In a recent article from the Nonprofit Times, “5 Fundraising Predictions for 2015“, each trend noted is aligned with advancing tech practices and efficiency within an organization. Nonprofit professionals, technologists, and entrepreneurs will now have local access to insightful resources, peer-to-peer collaborations, and connection with the Orlando tech community. Tech4Good Orlando has connected with Orlando Tech Association and Canvs as community partners to further enhance member experience and create a link between the tech and social sectors. On February 13th, Tech4Good Orlando is hosting an engaging workshop, Must-Use Apps & Tools for Every Nonprofit. During this hands-on session, leading experts will showcase various apps and tools (most free or very low costs) nonprofits can adopt to create dynamic messages and content, improve efficiency, and streamline data. Registration is open to all. Learn more about Tech4Good Orlando and become a member today!